Professor Sitsophe Anku is a nationally and internationally-renowned maths expert and educator. He promotes practical mathematics as a way to overcome the fear of mathematics and help students appreciate its real life applications. He believes that mathematics is fundamental to studying and understanding all subjects – and that everyone can do it. He set up the Meagasa Mathematics Academy in his own home to support children aged between 6 and 18 in mathematics. He also founded the Ghana Mathematics Society, a non-profit advocacy society to promote the study of mathematics. His teaching programmes have helped students to find enjoyment and excitement in mathematics. Some who had hated or feared mathematics have gone on to study engineering, science and other mathematics-related programmes. His methods help students to express themselves confidently, communicate their ideas and justify them mathematically. They also learn to work well within teams and have respect for each other’s opinions. His teaching methodologies are currently being used in classrooms across Ghana and in other parts of the world. He has also helped to introduce mathematics clubs and camps across Ghana. 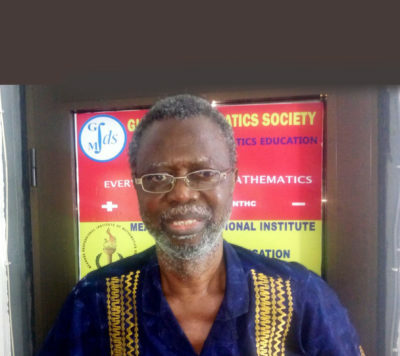 His book, “Mathematics Everywhere”, and national tour, supported by Ghana Broadcasting Corporation, have brought practical mathematics to thousands of people. His work has been published in and covered by national and international media.